Public transport is not just getting people from A to B. It is also about enjoying the city around and travelling in comfort with maximum efficiency. 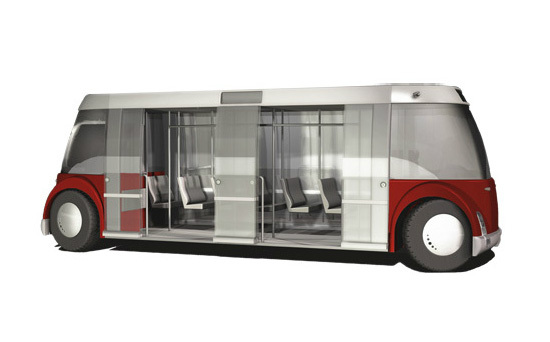 This low-floored city bus has transparant walls so you feel more outside than closed inside a vehicle. 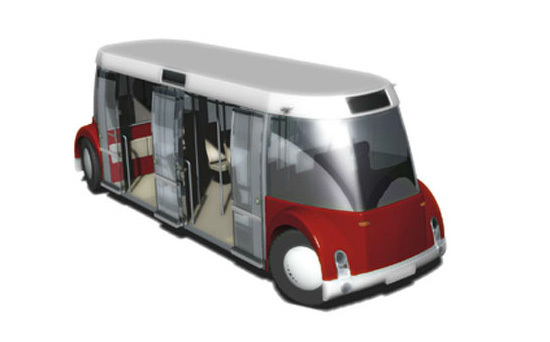 It has a superior ergonomic interior layout compared to current buses. You are always by the doors, so getting in and out is faster and you never have to fight you trough the crowd to the doors. The standing places are by the doors and people can sit all along the other side and not mixed as usual. 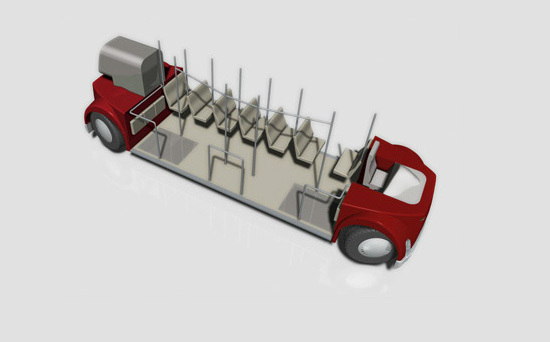 The vehicle is just 9,5 meter long, but it has 12 fixed seats and it can trasport two wheelchairs. Normally in buses there is only one place for a wheelchair (or not at all) and handicapped friends can not take one bus together. When there are no wheelchairs 4 extra seats can be folded down.